This is in the form of what is called a ‘strawman’ proposal, or discussion paper, which is intended to generate a debate around the disadvantages and create new and better proposals. 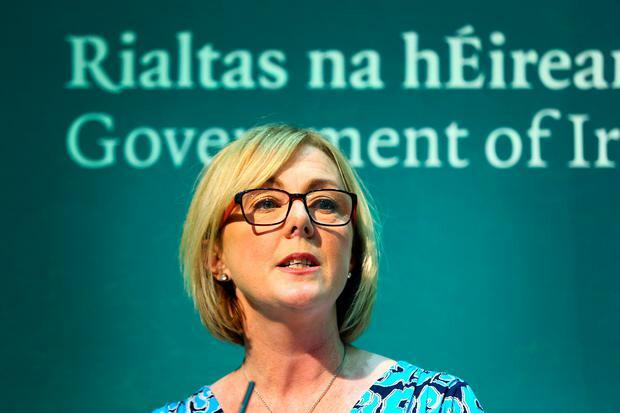 The proposals from Social Protection Minister Regina Doherty’s department are open for debate and nothing in relation to the compulsory pension scheme is set in stone. There are around 900,000 people who have no works pension. The new scheme would apply to 410,000 workers. They will be left with the State-contributory pension only in retirement if action is not taken. At present the State pension is about €12,000 a year, which is a third of the average wage. Most of the one-third of the workforce with no supplementary pension face straitened times in retirement unless a supplementary pension scheme is put in place. Private sector workers on more than €20,000 a year will be automatically enrolled in the new scheme, it is suggested. The State will contribute €1 for every €3 put into the pension by the member. The contribution level will be set at 1pc of wages from 2022, with employers being ordered to match the amount. The contribution level will rise to 6pc per member by 2028. Workers will not be able to opt out of the system for at least nine months after being signed up. Employees earning more than €75,000 can contribute to the scheme, but the employer will not have to match contributions above that amount. Workers earning less than €20,000 will not be automatically enrolled in the scheme, but will be able to opt in to the system. The self-employed will not be automatically signed into the scheme, but will have the option to sign in. Employees will choose a fund, run by a private sector pension provider, depending on their appetite for risk. If they do not choose a fund, they will be put into a default fund. Retirement benefits accrued under the system will become payable when the recipient’s State pension becomes payable. The Government suggests that the maximum charges for administration and investment would be 0.5pc per annum. That’s significant. Standard PRSAs (personal retirement savings accounts), which was a previous attempt to introduce a flexible pension, have charges of up to 5pc of the contributions, and 1pc per annum of the fund’s value. We do not know the answer to this. The ‘strawman’ proposal sees the setting up of a Central Processing Authority which will collect contributions from employers, and also allocate a pension provider to employees who don’t want to choose themselves. It will have to, and has worked in countries such as Britain. More than 10 million workers were enrolled in a defined-contribution scheme in the past six years, when employers were required to enrol staff in a workplace pension. The alternative is that a massive burden is placed on the State. The number of people aged over 65 in Ireland is expected to double to more than one million within two decades, putting a huge strain on the State pension, which is paid for by PRSI (pay-related social insurance) contributions.